Since it is now unlikely that these stories will be published, I will share them here. All characters, of course, are copyright DC Comics. This installment: Batman and Animal Man. Titano sees a green glow from around the next curve. His thought bubble shows a Green Lantern emblem followed by a question mark. Rounding the curve, he sees the equally huge Chemo also making his way to Gotham. Chemo’s “speech” bubble shows him (in perhaps a more cartoony style than the story proper) wreaking havoc in Gotham (so another sign must be visible). Titano’s “speech” bubble shows him (also in the cartoonier style) wreaking havoc in the same setting from Chemo’s bubble. Titano and Chemo rush at each other to fight for the privilege of razing Gotham. Titano whacks Chemo (with his feet, perhaps?). Titano and Chemo peeking into different caves. Batman is staring up into the darkness. Animal Man leaps down into view—his hair and shoulders covered in white stuff. …how come the guano never drops on you? Animal Man lands next to Batman. Let me guess. You have tiny sensors in your costume that detect when it’s about to hit and tiny lasers that disintegrate it first? No. I have fast reflexes. So, a demonstration? Titano and Chemo break through a wall, startling the bats into disarray. Animal Man points to the invaders. The bats surround Titano and Chemo. Titano and Chemo swat the bats away as if they were gnats. Animal Man looks frustrated. Saw that coming. Got any other animals? Batman is using a small iPhone-like control to activate the giant Tyrannosaurus rex in his cave. Animal Man looks stunned. Yeah, everyone forgets it’s actually a robot. The dinosaur grabs Titano’s arm in its jaw. Chemo sprays acid on the dinosaur’s head. Titano twists the head off. Titano grabs the giant penny. Titano and Chemo storm out through another wall. In a swampy area in the outskirts, Titano flips the coin with Chemo. It lands in the mud—on its edge. Mud also splatters all over it. Both giants head toward Gotham. Same view as previous panel, except giants no longer visible and Batman and Animal Man are following them—Batman in the Batcopter and Animal Man flying alongside it amid a bevy of bats. Batman and Animal Man fly over a path of grand scale devastation in the city—lampposts bent, cars crushed, fire hydrants spraying, huge footprints in pavement, etc. Both heroes wear a wireless headset communicator. 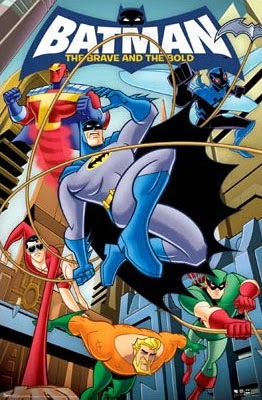 In the foreground, a cockroach skitters by on a window ledge as the Batcopter, Animal Man, and the bats fly by in the background. Good thing, too, because a city doesn’t offer decent animals to borrow abilities from—pretty much just rats, pigeons, and cockroaches. I’d take bats over any of them any day. Batman and Animal Man (and the bats) reach the harbor where Titano and Chemo are wading out to the Statue of Justice (a Statue of Liberty analog). I’m afraid you won’t find a better choice of animals in this water. With buzzing mosquitoes at the water’s edge in close up, Animal Man flies up to Titano in the background. Animal Man is buzzing around Titano’s ears. Titano flicks Animal Man away. Man! Lamest. Strategy. Ever! Why did I even try? I need to think bigger. Batman shoots two cables toward Chemo’s legs. Have to be careful. Puncturing Chemo would create a deadly chemical spill that—Animal Man? Batman looks out the window to find the bats still there but Animal Man nowhere to be seen. It’s not like him to retreat, no matter how frustrated. Chemo uses his acid to easily dissolve the cables wrapped around his legs. Batman jumps from the copter to Titano’s back. Maybe I can use the ape to take down the acid—if not both. Batman tosses a Batarang around Titano’s hands. He pulls hard, yanking Titano’s hands up, which covers the ape’s own face. Titano falls backward, knocking down Chemo, too. Batman is climbing a rope back up to Batcopter. Both giants have fallen into the water. A giant ape hand obscures the windows of the Batcopter. Chemo spritzes acid on the propeller, dissolving it. Titano hurls the Batcopter at the Statue of Justice. Just before impact, an even larger hand catches the Batcopter. Pull back to reveal it’s Animal Man, standing taller than both villainous giants. He opens his other hand to reveal Giganta (in prison garb and locked in one of those high-tech armcuff devices often shown in DC cartoons and comics). Giganta—of course. You can tap her size-changing ability since she was transformed into a human from an ape. How many times have I asked you all not to keep mentioning that? Right, Batman. But to borrow her power, I first had to borrow her from prison. And since I lack your fast reflexes, I borrowed the diving speed of a nearby peregrine falcon to do it quickly. Still, sorry I took off without explaining. As a man of action more than words, Animal Man, I understand. But I didn’t completely abandon you. Before I left, I told the bats to feast up on mosquitoes and go guano on the giants. The heroes see Titano and Chemo under the hoard of bats and positively DRENCHED in guano, which is obscuring their vision and causing them to stumble around in the water. So your little friends finally came in handy. Giganta, at increased size and blindfolded (for security), is in the Batcave. Under the watchful eye of Batman and Animal Man, she is irritably polishing the mud off the retrieved giant penny.